I’m here to defend the underdog- to defend the product that seems to get pushed aside because of its name, because it’s not labeled “premium.” More specifically, I’m here to defend our ‘Oak Knotted’ wide-planks. 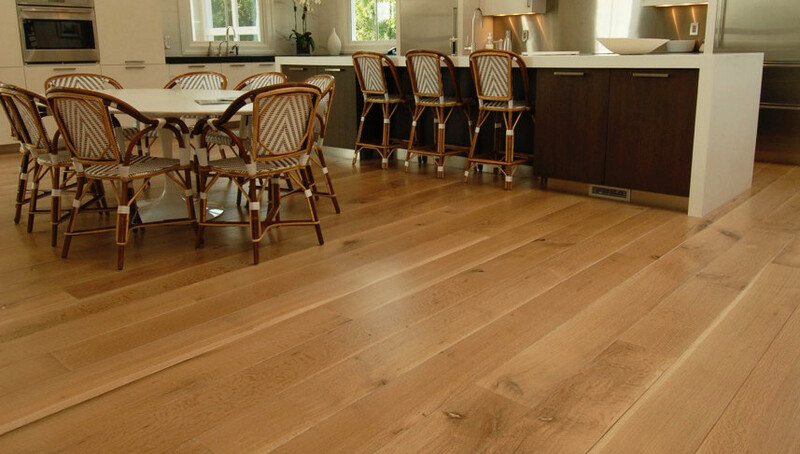 At Woodwrights Wide Plank Flooring, we know that the quality of wood does not depend on its title. We treat every product with the utmost respect and dignity it deserves, including our knotted oak. We source from top quality forests and hand select from their top quality lumber. Multiple times a year we take the trip to the Spessart Forest in Germany (who are known for their long dense history of sustainable forestry) to source their beautiful Spessart Oak. Woodwrights Oak Clean is taken from the bottom portion of the trunk, the segment that does not have any branches. Woodwrights Oak Knotted is selected from the upper portion of the tree; all the knots you see are where a branch once grew. Dead branches drop off healthy, living trees all the time, and wood knots appear in the trunk where branches died. Knots are imperfections that cause living wood grain to grow around them. (Solid and engineered available), for instance, produces a very high-end specialty character floor that duplicates that older style rustic charm. Woodwrights offers some of the highest quality product made within the USA. Wood knots make beautiful wood displays. Ironically, it is the very curves and bends in wood grain that makes knots so attractive to view. The wood grain waves its way around the knot. If you have a closer look, notice how the grain pattern slopes up to 90 degrees to get around wood knots. Incredible. This is why many consumers enjoy having knots in decorative wood. Boards with a lot of character and knots aren’t any less quality than the clearer grades. It’s incredible strength of character gives us the ability to offer this luxurious hardwood in widths and sizes that exceed those of most manufacturers. Knotted European Oak’s durability is legendary, which means Woodwrights Knotted Oak wide plank floors will give you a lifetime of enjoyment.